January Sell Off !! Save $4000 !! 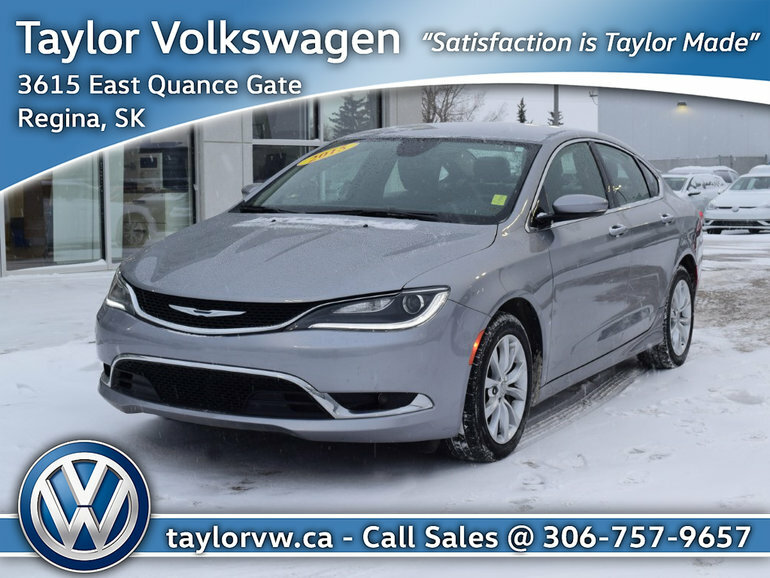 This 2015 Chrysler 200C could be the sedan for you! Built to withstand every season, it comes equipped with heated multi-function steering wheel, heated leather power seats, navigation, bluetooth connectivity, backup camera, just to name a few! Photos do not do this justice! Come down to Taylor Volkswagen and see this vehicle for yourself! Interested by the 2015 Chrysler 200 C January Sell Off !! Save $4000 !! ?